Blink and you’ll miss it, but Apple has become the world’s biggest wearable devices company and its Apple Watch is already in use in a variety of different enterprise implementations, even before it becomes truly smart. Apple has a great enterprise story to tell. Not only are a huge number of enterprises already using iOS devices, but IBM now claims it is three times more expensive to manage PCs than to manage Macs. And that’s even before you consider that if the UK’s NHS had deployed Macs rather than Windows XP, the recent ransomware attack that used NSA-developed tools would not have succeeded. “Wearables can provide major benefits for businesses, if deployed correctly,” said Chas Moloney, director of Ricoh UK told Silicon. While he sees the value of the Apple smartwatch as a health and wellness benefit, he sees wider implications, such as providing real time business insights in office-based environments. So, what kind of usage do we already see of Apple Watch in the enterprise? Capital One: Apple recently revealed that Capital One is equipping staff with Macs and Apple Watches. The company now has “over 40” native iOS apps that run on its devices. These are focused on collaboration, customer and infosec deployments. (The company also provides applications that warn of problems with critical enterprise systems). 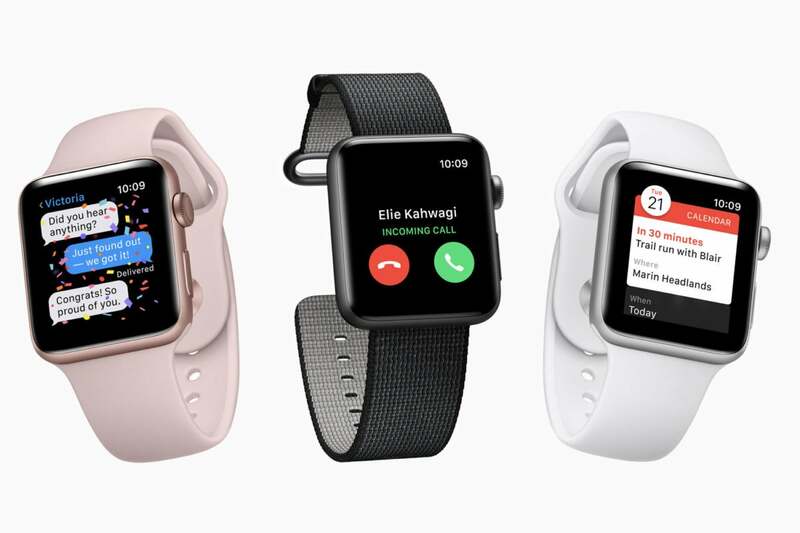 SAP: The enterprise software company has developed a series of mobile apps that run on Apple Watch, including the SAP Work Manager app that lets medical device service technicians check the status of repairs on the go. AETNA: This company is one of many that now provides Apple Watch to employees as part of its corporate wellness program. In the UK, Vitality offers a health insurance deal in which customers pay lower premiums if they manage to maintain certain health goals. Good Technology: The company provides a highly secure calendar notifications system for Apple Watch within its highly connected Good Work collaboration suite. We’ve seen similar enterprise-focused solutions appear from Microsoft, Trello, Slack and others. Salesforce: That company’s Wave Analytics app provides sales reps and managers with up to the minute information regarding customer accounts. SITA: This giant air transport technology solutions provider may be better known for building ticketing machines and airports, but it recently tested an app that lets airport managers get instant flight updates and gate changes. IBM: Apple’s enterprise partner has built multiple solutions for Apple Watch. Aimed at law enforcement and public safety officials, Incident Awareprovide officers with important notifications, such as Emergency Medical Services requests and also offers backup requests. Another solution called Hospital RN provides medical staff with quick and easy contextual access to patient information. Apple’s own enterprise pages explain multiple examples of iPhone or iPad-based deployments that could logically also be extended to Apple Watch. A field technician arriving at a client’s location won’t need to be guided to machinery that needs fixing as the equipment will already have self-identified a problem, called for maintenance, and will guide the tech to itself using Apple Watch. The watch will also be able to speak a tech through any problems, and call up any relevant troubleshooting information on a mobile device. In the warehouse, employees will be enabled with real time information as new orders are made, and the state of preparedness of existing orders as automated devices collect them together for despatch. Sales teams may be provided with immediate insight into new prospects, goals, achievements and registered contact details. Medical staff already receive emergency alerts. Technologies also exist to ensure the most immediate available help is alerted in crisis. Patient treatments can be enhanced as real time data and patient statistics (such as allergies, existing medical conditions, and/or blood type) is made immediately available. Ultimately these connected wearables will become deeply connected to dark data analytics engines, empowering enterprise usage cases based on real time analysis of contextual events. Apple's recent Lattice Data acquisition proves the company sees value in extracting useful insights from less structured data stacks. When thinking of big data it’s important not to see it in terms of data extraction from one collection of information – the real power of analytics comes when you combine different stacks: weather and consumer behavior, for example. UK retailer, Tesco, already uses big data to make stocking decisions, such as making sure it has barbecue equipment on sale on the first good day of summer. Within this context it seems probable that some enterprises will look to use the Apple Watch as a tool with which to provide employees with real time data driven business insights to help improve outcomes and productivity.